***note: free resource at the bottom of this article. Today I am in packing mode. We are moving into our newly purchased home. If you have been there yourself, you understand what I am in the middle of. Therefore, I will keep it short. Before all the packing began we bought our home and decided to fix a few things up before moving in. We have put in new countertops, floors, light fixtures, just to name a few. All this work on our home reminded me of a great little devotional book I read back when I was a teenager. 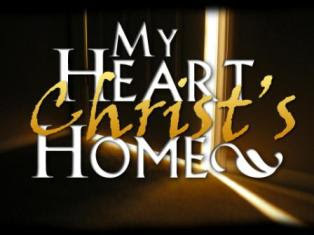 My Heart, Christ’s Home. This booklet was introduced to me at a time when I was growing by leaps and bounds in my spiritual life. Munger compares our heart to the layout of a home. He walks us through each “room” of our heart and discusses the implications of having Jesus taking up residence there. In the living room we prepare to meet Christ daily. In the dining room we examine together what appetites should and should not control us. We even explore the closets in our lives that Christ can help us clean out. Munger’s practical yet profound booklet helps you give Christ control over all of your life. I did a little bit of internet hunting and found locations for this resource. Download the PDF of this great booklet for free HERE, or buy printed copies in a 5 pack for cheap HERE. Everyone should take the time to read through this and perform some self examination.